The goal of the Graduate Job Podcast is to help you achieve the job of your dreams. Each week we speak to inspiring authors, coaches, recruiters and entrepreneurs in the field of graduate recruitment, as they share their expert knowledge and advice. We cover all aspects of getting a graduate job, from internships and placements, to CV’s, online applications, interviews and assessment centres. 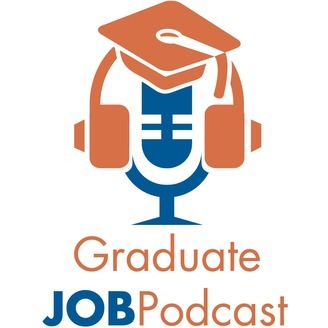 Whether you are looking for a career in finance and banking, or wanting to work with a charity, the Graduate Job Podcast will help you every step of the way. 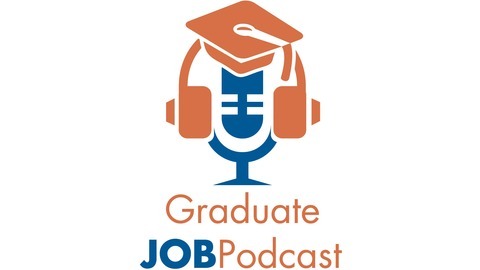 Hello and welcome to the 83rd of the episode of the Graduate Job Podcast where I am re-joined on the show by career expert John Lees as we discuss having a smarter search for a graduate job. John shares some absolute job search advice gold in this episode as we cover hints and tips for how you can be smarter and more efficient in how you go about getting a graduate job. We explore the idea of your ‘confidence window’ when you apply for jobs, what it is and why it is crucially important. We delve into rookie mistakes that most graduates make when they apply for a graduate job, and how you can avoid them to set yourself apart from the crowd. We touch upon dealing with rejection when you apply for a graduate job, and how to interpret the responses (or lack of responses) that you might get from an employer. No matter where you are in your jobsearch, if you’ve started applying, or still thinking about which jobs to apply to, this is an episode which you aren’t going to want to miss. Now the only link you need to remember from today is https://www.graduatejobpodcast.com/smart, as that has all of the links to everything which we discuss and a full transcript which you can download, so make sure you head on over there. And don’t forget to check out today’s sponsor who are our friends over at CareerGym.com. Career Gym is the number one place for you to undertake all of your psychometric tests which you will face when you apply for a graduate job. No matter what graduate job you apply for you’re going to have to face some type of verbal reasoning, situational judgment, and working style tests. You can practice these at CareerGym.com. Use code GJP to get 20% off all of their tests!